Bocca del Pozzo is an exclusive, refined and elegant structure nestling in a charming landscape and is in the Municipality of Gagliano del Capo, on the Adriatic cliffs down from the provincial road 358. 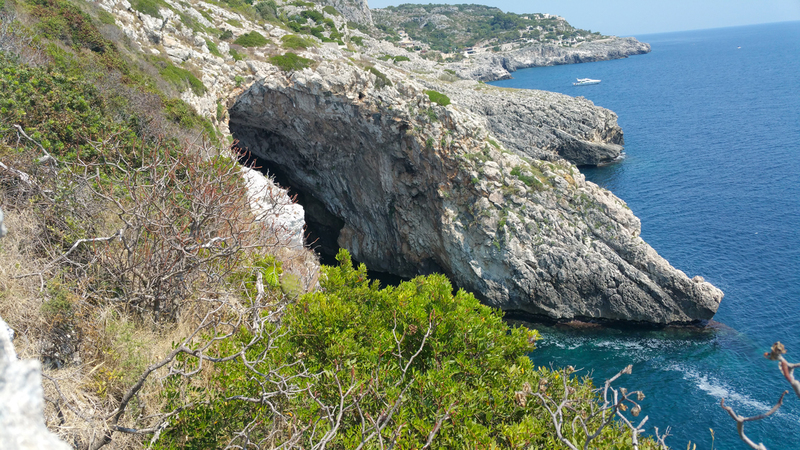 It clings to the cliff rocks which run between Santa Maria di Leuca and Novaglie, almost suspended between the sky and the sea. The villa takes its name from a large marine grotto on the vault of which a crater of approximately four metres diameter has formed through part of the vault collapsing. Anyone looking at it from above would have the impression of looking into a “well”. There are approximately 33 m from the mouth to the sea level. The grotto has been and is still an object of study for local and national speleologists. Once you have crossed the slightly high and narrow mouth, you come to a small inland freshwater lake. The sea that washes the grotto is about ten metres deep and has a deep blue colour. The Ciolo resort, where you can go swimming, can be reached on foot and is about 700 m away. The building was built by Rocco Fino, a doctor specializing in many areas, who was born in Gagliano del Capo. He had two great passions: medicine practised with enthusiasm in his surgery and at home, and literature which allowed him to express his often emotional past experiences. He has been recognised by the International Business Corporation, Edizioni Oasi and the Association of Italian Medical Writers. The resort is located in the Gagliano del Capo area, on the Adriatic coast. Here, the sea sweeps into the area like in a narrow shallow fjord and creates a marina that permits a landing for a few small craft. The surrounding area acts as a protective crown against the troublesome west winds, the sirocco and the north winds and, because it is so rugged, does not easily permit human settlements to be built. This is the reason Il Ciolo is a marvellous jewel of nature, remaining miraculously untouched. It is a fairly lively natural complex that is pleasant to the eye and elicits exclamations of surprise and wonder from visitors compelled to stop and observe. Then, with the play created by the soft moonlight or artificial light, it becomes a delightful crib landscape. 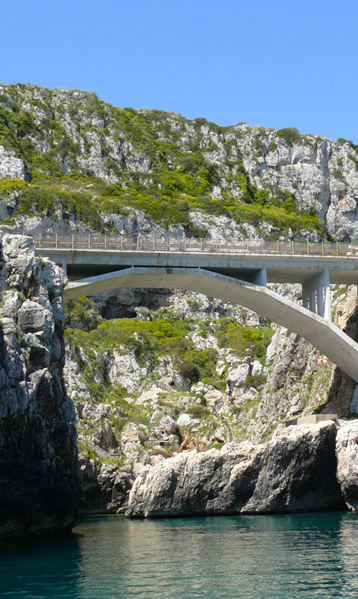 It is crossed by a bridge which allows tourists to view the scenery from an optimal position. You can also access Il Ciolo from inland Gagliano, but only on foot by way of a natural cattle track made viable by steps and fences. Up to a few years ago, the resort was inhabited by hundreds of crows, which were called “Giole” or “Ciole” in the local dialect and gave the place its name. The “Ciole” are extremely voracious birds and eat everything and it is for this reason that the peasants have always fought them. The word “Ciola” comes from the Greek “Kauanos” which means dark and refers to the black feathers of these crows. 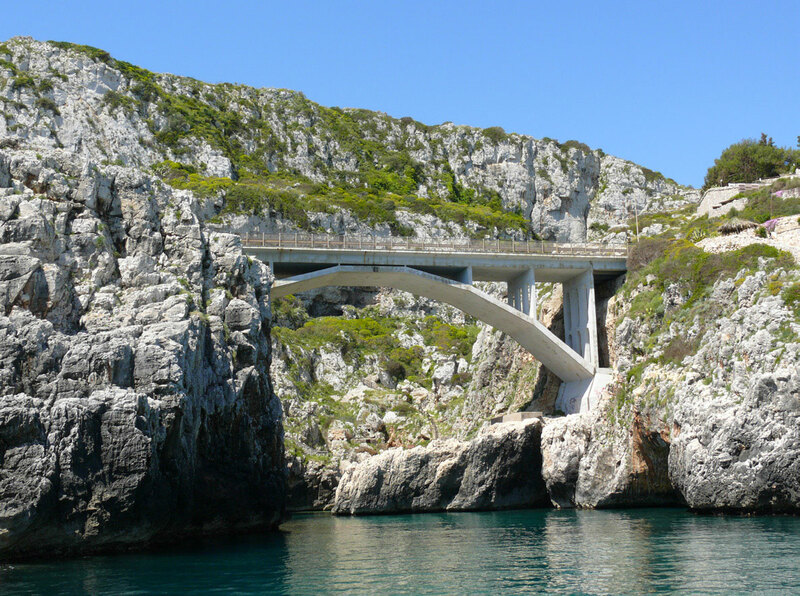 Il Ciolo and the Salento coast are areas of outstanding natural beauty and protected by special planning controls.